At the Monument Gardens, located near the Shrine of the Báb and the Arc buildings. 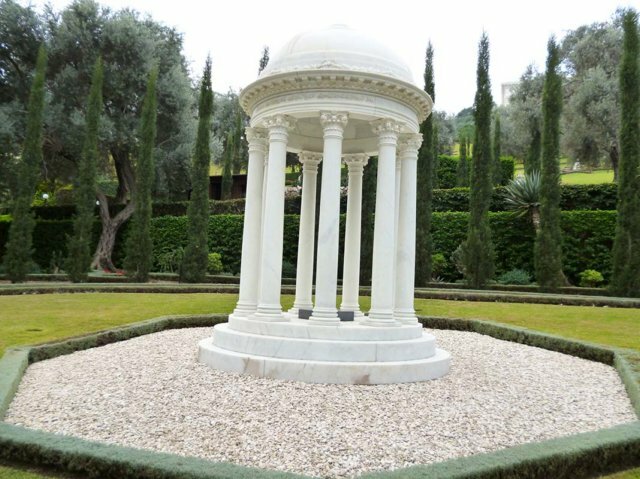 This particular monument marks the resting place of Bahiyyih Khanum (or the Greatest Holy Leaf), daughter of Bahá’u’lláh. “Leaf” was a name given by Bahá’u’lláh to female Bahá’ίs and “Greatest Holy Leaf” was the title given by Bahá’u’lláh to His daughter.